Home to the gleaming Golden Temple, Amritsar is the holiest city for Sikhs around the world. Our pick of the best places to stay in Amritsar are both ideally situated for visiting this icon - close enough for ease of access, yet far enough away to avoid the crowds. Founded in 1577 by guru Ram Das, it still renders onlookers, pilgrims, and tourists speechless. Inside, witness volunteers stirring cauldrons of daal and vegetables, bound for the plates of the thousands that eat there each day. Twelve ancient gates encase the old city, where the Golden Temple is located. Containing a maze of winding lanes and bustling bazaars emitting a concoction of scents, it's like stepping into another century. With cows, carts and cars vying for space on the narrow roads, exploring on foot tends to be the most immersive and convenient option. To the north of Amritsar’s ancient ramparts is the ‘new’ city, a hodgepodge of colonial buildings, shopping malls and multiplexes. which are testament to the commercial success of this city. Awash with textiles, fabrics, saris and pashminas, Katra Jaimal Singh Bazaar is a favourite amongst the ladies of Amritsar. Take a cab to the Pakistan border to witness the Wagah border crossing. Not dissimilar to Buckingham Palace's Changing of the Guard, with as much pomp and more theatre. Or, if you fancy some fine dining, dress up and head for dinner at Thai Chi. Serving gourmet Thai and Chinese cuisine, it is a top contender for the best restaurant in town. The city is busy year round, so get organised and book early - our pick of the best places to stay in Amritsar are both equal parts charm and luxury. 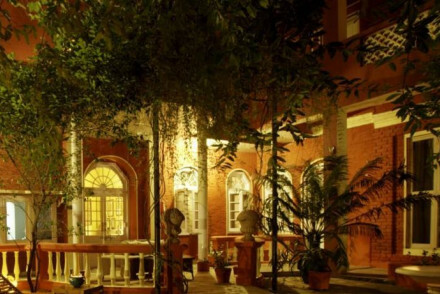 Welcoming visiting dignatories for over 250 years Ranjit's Svaasa Hotel provides guests with a historic stay and the added benefits of an Ayurvedic spa, yoga and meditation. 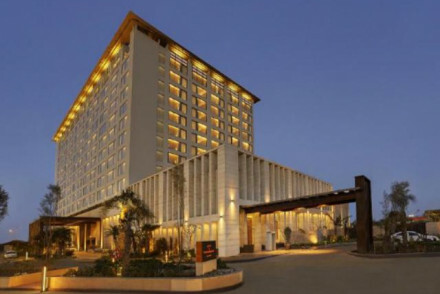 Housing Thai Chi, one of the best restaurants in town, The Hyatt Amritsar excels in all aspects. A perfect blend of contemporary and local style. If you've decided that a self-catering property would be more suitable for your holiday, then we recommend you visit our online partner, Booking.com, where they have a wide selection for all tastes and budgets. Fly to the Sri Guru Ram Das Jee International Airport, located approximately 11km from the city centre, whilst Amritsar train station is well connected to a number of major cities. November to March bring cool days which are ideal for sightseeing. Punjab's rainy season is from July to October and can make Golden Temple trips unpleasant, so you're best off avoiding coming at this time. 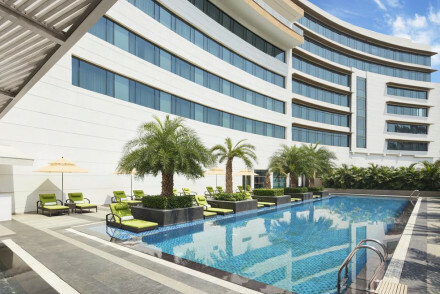 From modern to heritage luxury, browse through our list of the best places to stay in Amritsar to start to plan your trip. Alternatively, you can widen the net and check out all our hotels in the Punjab.